DALLAS, Mar 11, 2012/ — The rain in Spain might stay mainly on the plain, but for us, rain can be anywhere and everywhere. 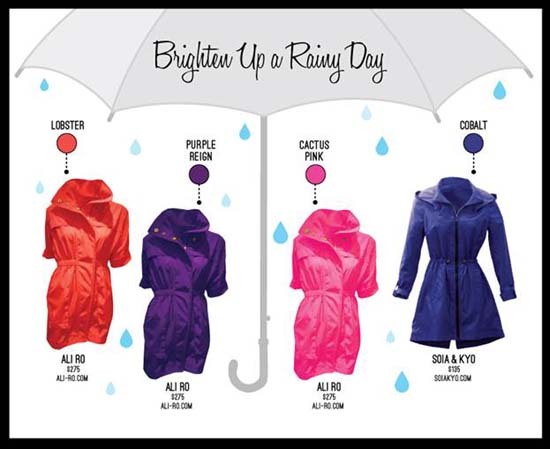 Thank goodness Ali Ro and Soia & Kyo have perfect bright anoraks for those days. Brighten up a rainy day with Ali Ro and Soia & Kyo.